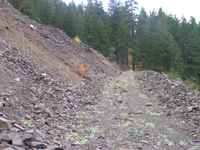 A Patented Goldmine in central Washington; this property is 22.55 acres in size and is zoned for mining. 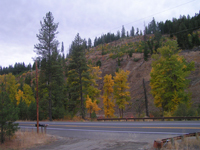 The Trina Mine is located in Cle Elum, Washington. Trina has a multi use potential. have documentation of mineral reserves exceeding seven hundred thousand tons of road construction material. 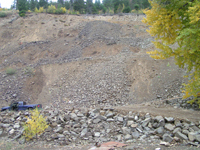 Although Trina is deemed a Goldmine the property has value as a rock quarry as well. This mine can be operational in six to ten months. contact for details and all documentations. When hard times hit, single-industry towns are especially vulnerable. And the combination of the recession and housing bust has Sin City reeling. Home prices here have fallen 58.1% from their 2006 highs, the most in the Standard & Poor's/Case-Shiller 20-City Composite Home Price index. They've even lost 12.6% from the nationwide recession low in April 2009 -- again the worst performance of any city in the index. The median home-sale price in the Las Vegas area at the 2006 peak was $313,500; in 2010, that fell to a stunning $138,100, according to the National Association of Realtors. Currently more than 70% of the homes in the area are "underwater," meaning their value is worth less than the amount owed on the mortgage, according to Stephen Miller, the chairman of the economics department at the College of Business at the University of Nevada, Las Vegas. Nationwide, it's more than 28%. A recent Forbes survey named Las Vegas the nation's second-worst-performing housing market of the past decade. S&P/Case-Shiller1 Home Price Indices, the leading measure of U.S. home prices, show that the U.S.
modest 0.1% for the month, but still down 7.5% versus March 2010.